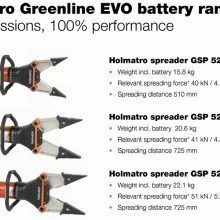 This summarizes the battery powered Greenline EVO range from Holmatro. 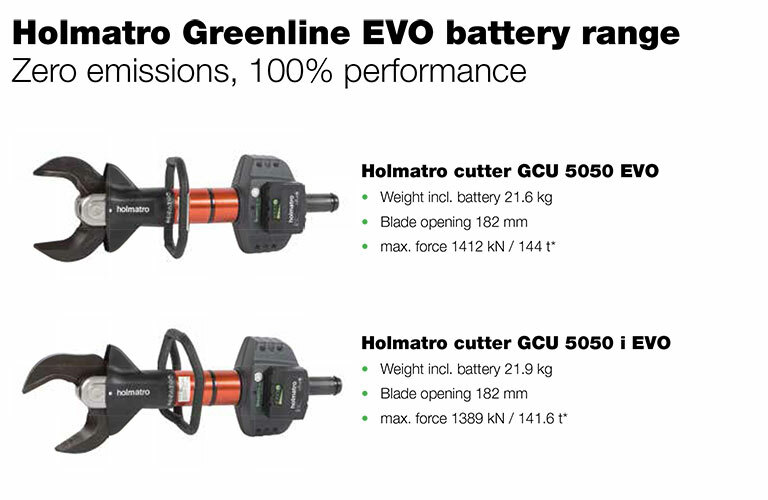 Two models are available from the new 5000 series cutters, GCU 5050 EVO and GCU 5050 i EVO. 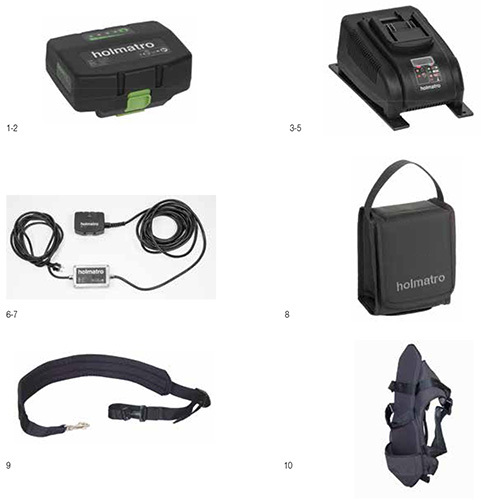 Greenline models are self-contained and not connected to a pump. So they offer true optimum freedom of movement. 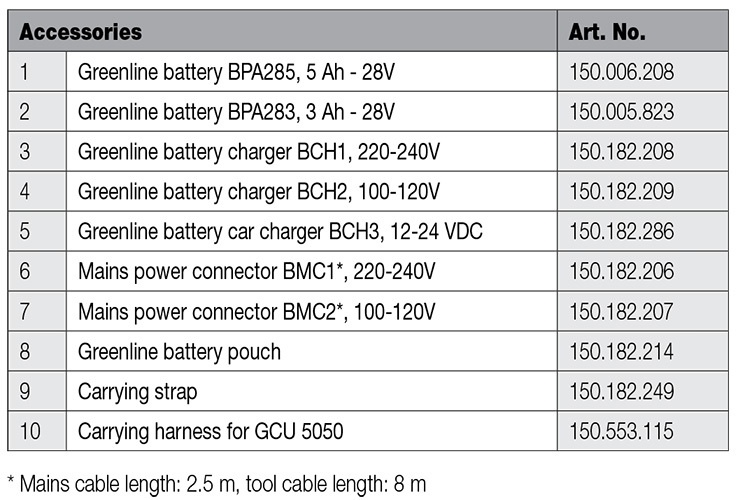 precipitation and temperatures down to -20o C.
use in confined and/or underground spaces. it is quick and easy, even in confined spaces. 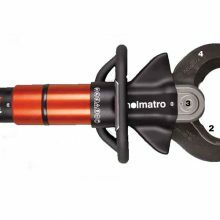 rescue tools, to deliver the same performance in less time.